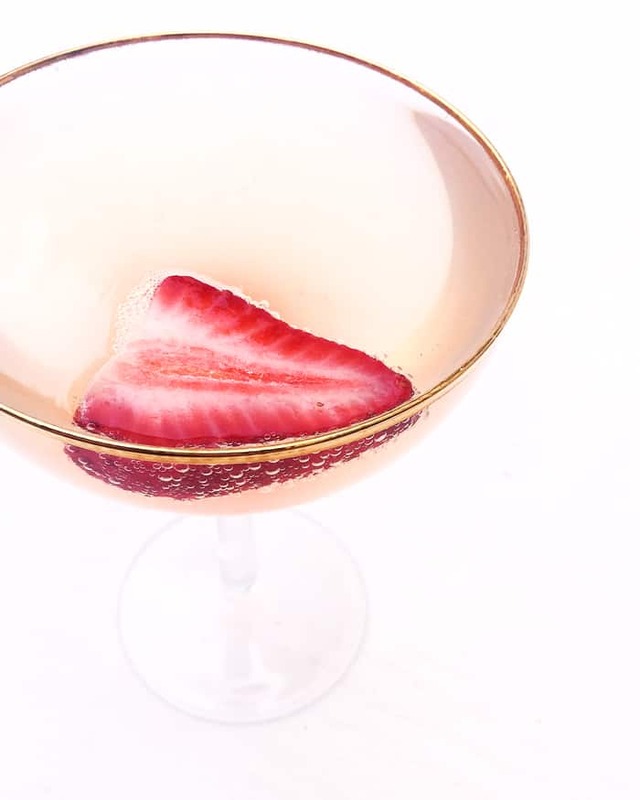 Savor the first drops of summer with a Strawberry Rhubarb Champagne Cocktail. 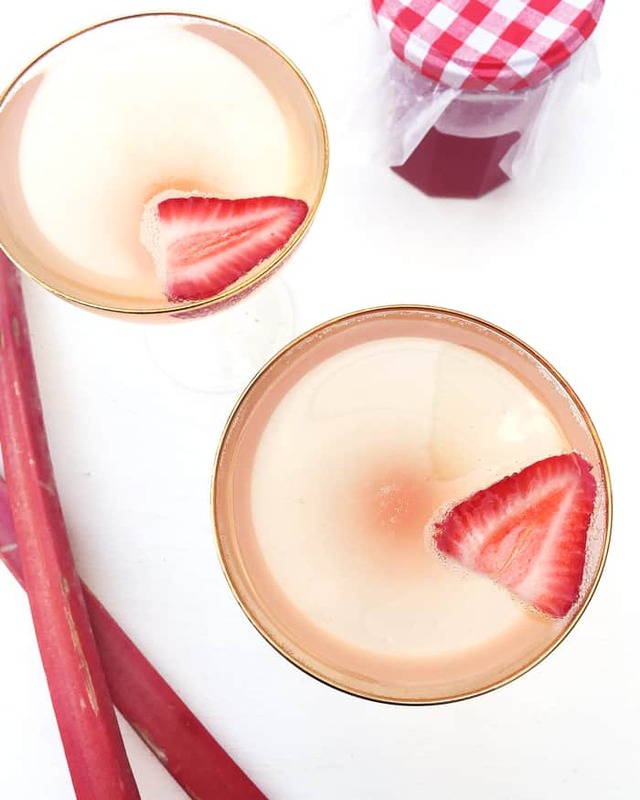 I remember the first time I tried rhubarb — I was on my aunt and uncle’s farm. My aunt made me a rhubarb pie with fruit from her garden, and it was stunning and life-changing. I’ll never forget those first tastes of sweet-and-sour, tart-and-tangy flavors tucked inside a flaky pie crust. There is just nothing like a strawberry rhubarb pie in the late spring / early summer, if you ask me. Often the filling for a strawberry rhubarb pie is made on the stove by stewing together the rhubarb stalks, strawberry slices, sugar and water to make a thick mixture. It’s then poured into a pie crust and topped with a lattice design before baking. I love it served with a layer of custard, whipped cream or plain vanilla ice cream. 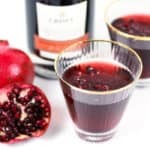 The best part of this cocktail is that you can get a head start on the recipe ahead of a party. 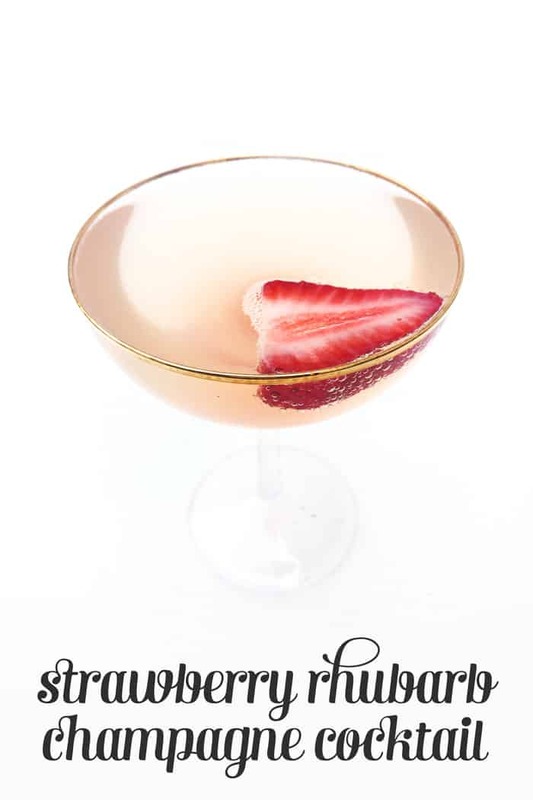 Fill a few coupe glasses or champagne flutes with a tiny bit of the syrup, then gingerly top with chilled champagne and a strawberry slice for garnish. 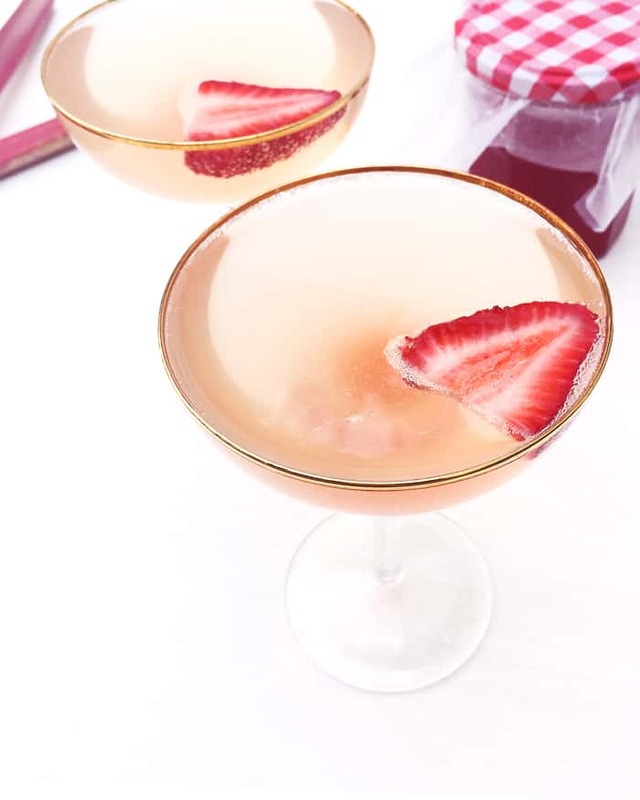 The soft pink hue looks almost like a rosé wine, but I promise this cocktail is way more fun and seasonal. Plus, it has that scratch-made, pie-like charm. In a large saucepan, cover rhubarb chunks and strawberries with water and sugar. Bring to a boil over medium-high heat, stirring frequently until the sugar has dissolved. Reduce the heat to low and simmer gently until the rhubarb has softened. Place a fine-mesh sieve over a bowl. Add rhubarb-strawberry mixture and allow syrup to drain out. Add gentle pressure. Let sit for 30 minutes to cool while the syrup drips out of the mixture. Transfer to a glass jar. 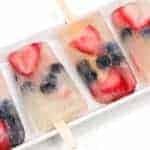 Cover and refrigerate for up to 1 month. Add 1 ounce of syrup to glass. 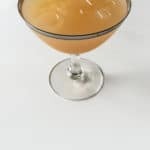 Top with bubbly champagne or prosecco. 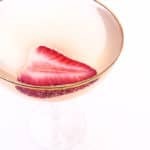 Garnish with a strawberry slice. I love all things pink and prosecco! 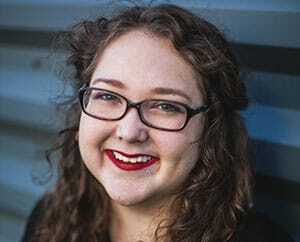 Gorgeous photos and lovely cocktail! 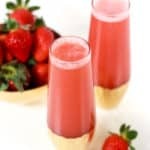 I think that the use of fresh strawberries in this recipe will make it a little more pleasant and fresh, since there will not be overdimensional sweets.